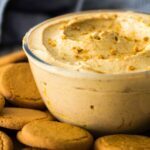 Fluffy Pumpkin Dip – Deliciously light and fluffy whipped pumpkin dip that is loaded with warm spices. Perfect for serving at parties with apple slices, crackers, or cookies! Looking to make a quick, last minute Halloween party dessert? I have the perfect recipe for you. 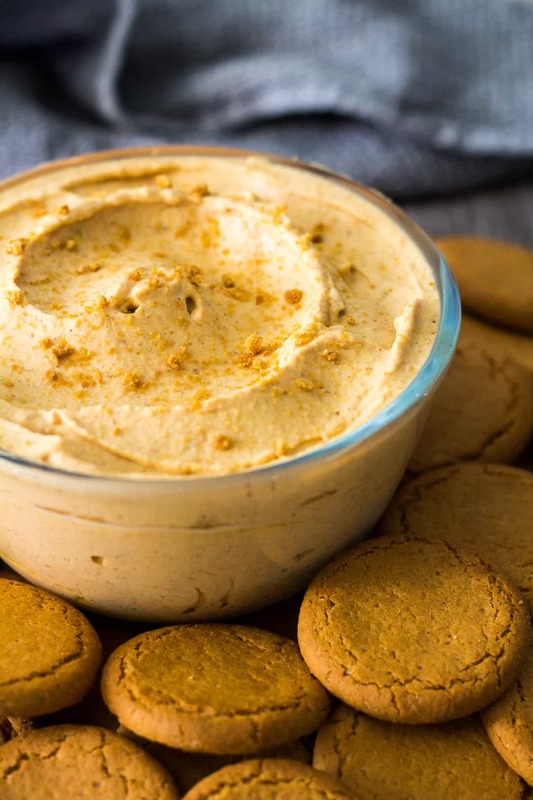 This Pumpkin Dip is light and fluffy, made with homemade whipped cream, and full of warm, autumn spices. It will be the perfect no-bake dessert to put on your Halloween party table. Pair this dip with apple slices, crackers, or cookies, and no one will be able to resist coming back for more! 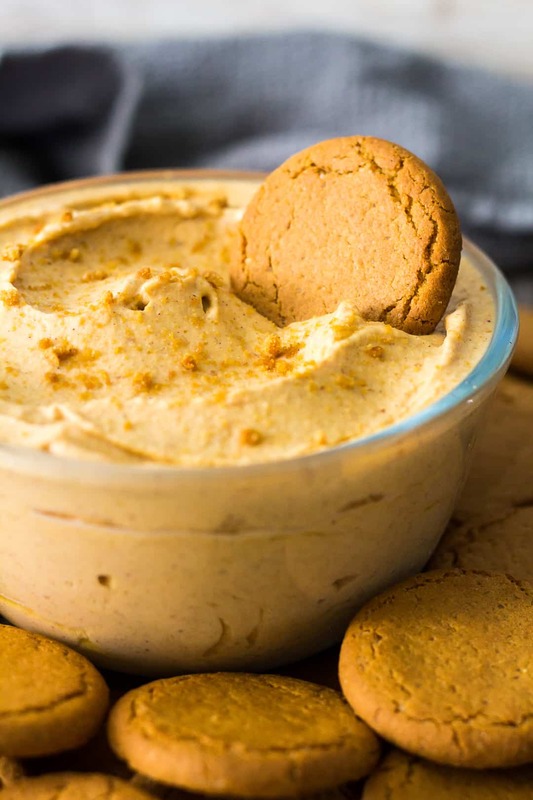 To make this pumpkin dip, whip the heavy cream to stiff peaks using a stand or hand mixer fitted with the whisk attachment (or by hand). Set aside. Whisk together the cream cheese and icing sugar until smooth and combined. Add the pumpkin, vanilla ,and spices, and whisk until combined. Gently fold in the whipped cream. Cover and refrigerate for 1 hour. Aaaand done. So quick, easy, AND delicious. You might need to double the recipe because this dip won’t last long once served! the perfect no-bake dessert for autumn! If you are even more short on time, this dip can be made ahead of time. Simply make the dip the night before, cover and keep refrigerated until ready to serve the next day. 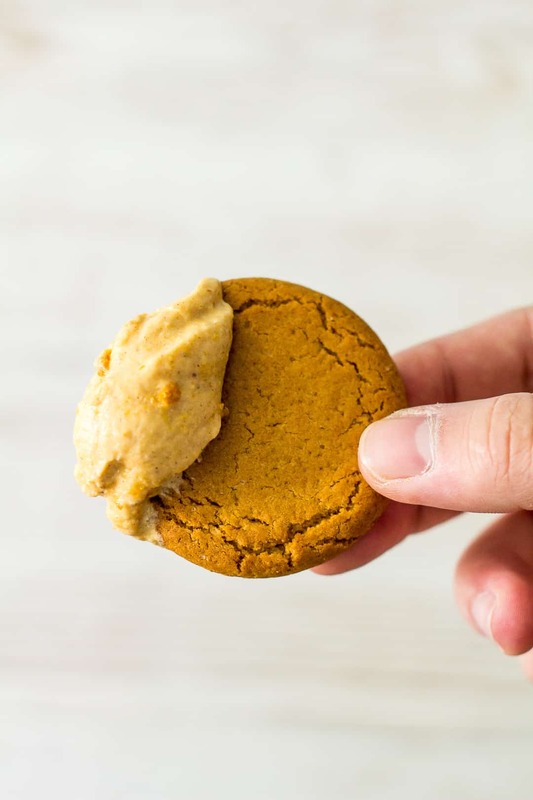 More pumpkin recipes to try! 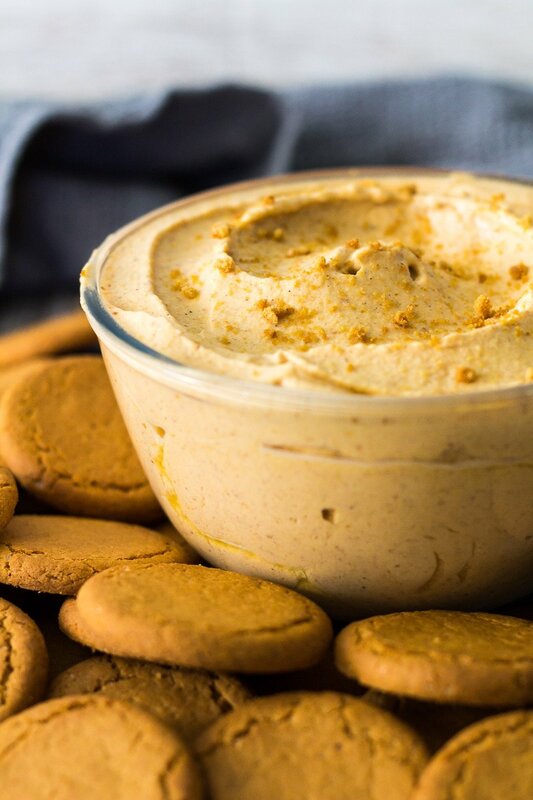 Deliciously light and fluffy whipped pumpkin dip that is loaded with warm spices. Perfect for serving at parties with apple slices, crackers, or cookies! Using a handheld or stand mixer fitted with the whisk attachment, whip the heavy cream to stiff peaks. Set aside. Whisk together the cream cheese and icing sugar until smooth and combined. Whisk in the pumpkin, vanilla, and spices, then gently fold in the whipped cream. Cover and refrigerate for 1 hour. Serve with your favourite fruit, crackers, or cookies! This dip can be made a day in advance, covered, and stored in the fridge until ready to serve. Each serving is about 1/4 cup. Dips are such an unknown here in England we just don’t seem to make them but I’ll definitely be making an exception for this as I love pumpkin! Also I have ALL the ingredients just ready and waiting including the pumpkin purée – amazing. I love everything about this dip! Ooh what a great idea, this dip would be so good with apple slices! Such a wonderful fall sweet treat!